On March 15, 1493, Christopher Columbus returned to Spain after his first voyage to the New World. The 2 C’s could be considered to be Christopher Columbus, the explorer renowned for “discovering” North America and many other places in the New World. But, according to many, there are two other significant C’s in America — Coffee and Chocolate! And the two are linked by more than just alliteration. When Christopher Columbus first sailed that ocean blue (as the rhyme goes) in 1492, he traveled to the so-called New World at the behest of the Queen of Spain. And two of the precious items he brought back to Europe? You guessed it: coffee and cacao beans. The introduction of coffee beans to the Americas is often attributed to Columbus, as it is thought that he carried coffee beans on one of his voyages to the New World. Columbus is also often credited with bringing chocolate, by way of cacao beans, back to Europe and then on to the rest of the world. Columbus is believed to have “discovered” cocoa beans in around 1502, when he and his crew appropriated the cargo of a native Mayan trading ship, near what is now known as Honduras. Apparently Columbus assumed that the beans were some kind of almond. But, sensing the value placed upon these mysterious legumes, he took them. So, what lesson can we take from this? Well, one thing’s for sure. 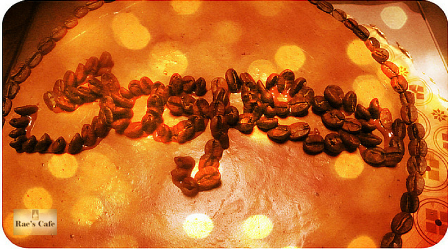 We’d like to thank Columbus for that initial transportation of the magical beans behind coffee and chocolate. We guess we have him to thank, in a round-about way, for one of our favorite products — the Cafe Mocha. And we can bet he would have been a big fan of one of the best — the BrewKup™ in Chocolate Almond. The Gourmet Cafe Latte, in its golden yellow box, is one of our top-selling products. The luxurious drink blends the smooth flavor of Italian-style coffee with the creaminess of frothed milk. It’s a drink that seems somehow decadent, yet, with the added bonus of Ganoderama, is more like a little burst of flavor with benefits. A latte is simply a coffee drink made with espresso and steamed milk. The English word is an abbreviated version of the Italian term “caffè latte” which means “coffee milk”. In Italian, “latte” literally means milk, so ordering a “latte” in Italy will get the customer a glass of milk. In English-speaking countries “latte” evolved as an abbreviation for “caffe latte”, the Italian term which is similar to the French café au lait and the Spanish café con leche. Historically, coffee and milk have been part of European cuisine since the 17th century. It is primarily Europeans who added milk to coffee, as no record of milk was found in coffee pre-1600 in Turkey or in the Arab world. According to the Oxford English Dictionary,the term “caffè latte” was first used in English in 1867 by writer William Dean Howells in his essay “Italian Journeys”. 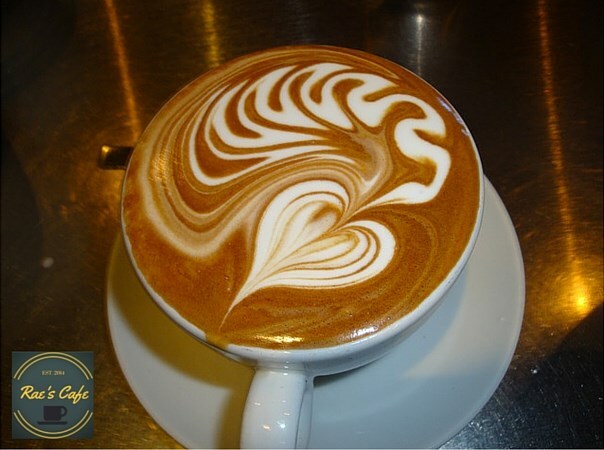 The contemporary popularity of the latte has spawned the creation of what has been dubbed “latte art” which is increasingly common everywhere where espresso coffee drinks are popular, such as North America, Europe, Australia and beyond. Created by pouring steaming, frothed milk into the coffee, that liquid is introduced into the beverage in such a way that patterns are distinguishable on the top of coffee. 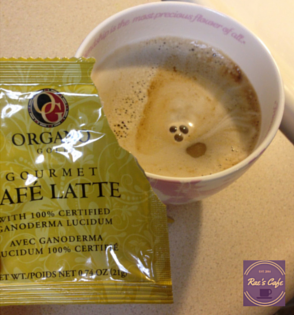 The Gourmet Cafe Latte was one of OG’s original products! Today, let’s devote this article to one of the simplest pleasures in the world — a cup of strong black coffee. With Rae’s Café and Organo Gold, there’s more than one option for lovers of strong black coffee — a flavor that true coffee-lovers appreciate. Fans of this great product can experience the aroma of freshly brewed coffee as soon as they tear open their sachet of OG Gourmet Black Coffee. Then comes the flavor, which is robust and smooth, for black coffee perfection. Connoisseurs adore the aroma and flavor of this luxurious product. 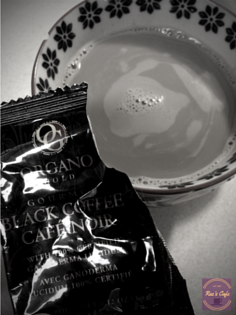 Organo Gold select only the finest organic beans to produce this bold, flavorful coffee. We like to think of it as a “necessary daily luxury” we can enjoy any time. This delectable coffee comes straight from the famed blue mountains of Jamaica — a region renowned for its premium coffee. In Jamaica, the beans are hand-sorted to ensure only the finest coffee makes it into this fresh, fruity, flavorful blend, for a rich flavor that is second to none. This is a brew-it-yourself blend truly fit for royalty. 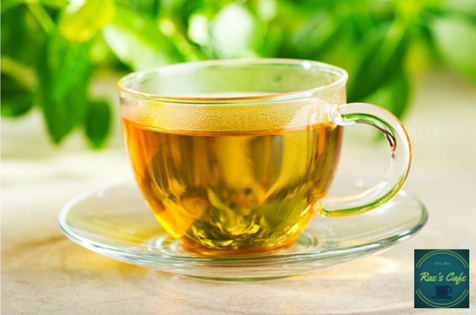 5 Reasons to Go Green- Rae’s Organic Green Tea, that is! 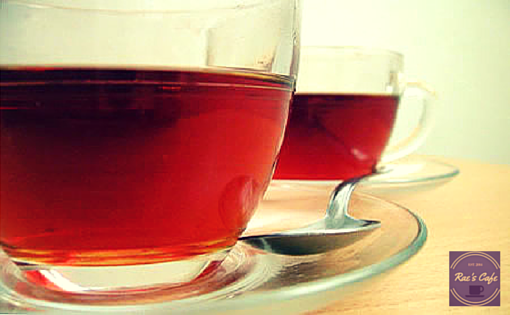 Organo Gold’s Organic Green Tea is one of the Café’s most sought-after products. And there is a very good reason for that. Not only is it a deliciously healthy and refreshing beverage, it contains plenty of positive antioxidants and polyphenols, which have well-documented benefits. And in the case of green tea, we feel it’s always better if it happens organically! Organic products such as OG Organic Green Tea, are made using finest quality organically farmed green tea leaves. Non-organic or lower grade products can contain excessive levels of harmful chemicals such as fluorides and pesticides. Instead, Organo Gold’s flavorful organically grown green tea is packed with flavonoids and other antioxidants — plus our renowned organic Ganoderma lucidum mushroom. Green tea is less processed than black/red tea. It is considered to be the most “natural” of teas because it is made simply by steaming the leaves of the Camellia sinensis plant in hot water — and was the only form of tea for centuries before black/red (fermented) and oolong (semi-fermented) were developed some thousands of years later. So, the better the raw ingredient, the healthier the end product. That’s why we only use organically grown green tea in our OG products. Gaining organic certification is a lengthy process, and can also be costly. Which means only companies passionate about their product and its use in a healthy modern lifestyle tend to seek an organic stamp. Thus, an organic label can be a good marker of high quality, great tasting tea. Simply the ceremonial history and nature of green tea is a calming ritual that can help you get into a more “Zen-like” zone. Zen Buddhism was the primary influence in the development of the tea ceremony, and it originated in 6th century China. Back then, everything was unofficially “organic”! And with OG Organic Green Tea’s addition of the renowned organic Ganoderma lucidum mushroom — it’s a truly invigorating and organic experience. For all you fact fanatics-here’s more information about coffee and the America’s. Although coffee beans and brewing originated in the Middle East it quickly spread to the far reaches of the world. Coffee is not just a popular drink, but a popular crop in the Americas, where much of the area had a climate that was ideal for the beans to thrive. Here are 15 Fun Facts about the history of coffee in the Americas, from South and Central America and the Caribbean right up through to North America and Hawaii. Hawaii is the only US state that produces coffee commercially. The United States imports more than $4 billion dollars’ worth of coffee each year. Coffee first made its way to the Caribbean around 1720, when naval commander Gabriel de Clieu brought coffee seedlings to the island of Martinique. Those sprouts flourished and 50 years later there were over 18,500 coffee trees in Martinique — enabling the spread of coffee cultivation to Haiti, Mexico and other nearby islands in the Caribbean. In around 1727, the King of Portugal sent an emissary to French Guinea to obtain coffee seeds to become a part of the coffee market. 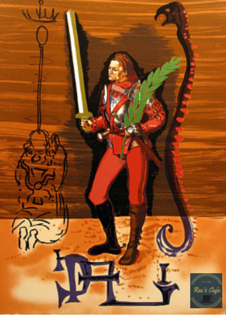 The King’s emissary is said to have initially had difficulty obtaining these seeds, but after charming the French Governor’s wife, she sent him enough seeds and shoots to start up a coffee industry in Brazil. In 1893, the coffee from Brazil was introduced back into Kenya and Tanzania, not far from its place of origin in Ethiopia 600 years prior — ending the energetic bean’s transcontinental journey. In the 1930s Brazil took off as major producer of coffee, and now produces around a third of the world’s coffee beans. Coffee represents 75% of all the caffeine consumed in the United States. The first webcam was invented at The University of Cambridge to let people know whether or not the coffee pot was full. Americans consume 400 million cups of coffee per day, equivalent to 146 billion cups of coffee per year, making the United States one of the leading consumers of coffee in the world. The average American worker spends approximately $20 on coffee per week — be it lattes, roasted beans or pods for their at home espresso machine. Seattle has 10 times more coffee stores per 100,000 residents than the United States has overall. When coffee was first introduced in America, it was not as popularly received as it had been in Europe. Some scholars believe coffee’s popularity grew during the Revolutionary War, as tea became more and more difficult to obtain from British merchants. If ever offered a “Cowboy Coffee” — politely decline! According to legend, cowboys used to make coffee by putting ground coffee in a clean sock and dunking it in cold water. They’d then heat it over the campfire, and pour the liquid into tin cups when it was ready to drink. Coffee in Tijuana has a definite local flavor. The popular local drink is a concoction known as “café de la olla”, which is coffee with added milk, spices and sugar. In Tijuana, coffee was traditionally primarily a morning drink. But as a 2013 OC Weekly article [July, 2013] by Dave Lieberman noted, the coffee culture sweeping across other parts of North America is trickling across the border into the Tijuana landscape. One local gem Lieberman found while exploring Tijuana was a cafe called Caffe Sospeso. “Caffe Sospeso — which takes its name from the Neapolitan pay-it-forward tradition of “suspended coffee”, where you pay for two coffees but only drink one, so that someone down on his or her luck can have a free coffee later — has been in Tijuana for 18 years, but has concentrated lately on changing the coffee culture on the south side of la línea,” Leiberman wrote. Here, in place of the sweet, spicy, milky drink favored by locals, he found a more contemporary coffee experience, with cold-brewed pourover and French press coffee preparations showcasing the beautiful aromas of their carefully sourced beans. So, for those who prefer their coffee dark and flavorful but not sweet and milky, the growth and popularity of modern venues such as Caffe Sospeso seems to be a good sign. Tip: For those who do enjoy sweet, milky coffee with a hint of spice, why not try adding some cinnamon and perhaps a dash of agave syrup to your sachets of Gourmet Latte or Cafe Mocha — to create your own Tijuana style coffee experience at home. The Ganoderma lucidium mushroom, so prized by Chinese herbalists, is unique in that grows in wooden trees or logs. Some Ganoderma is harvested using plastic bags which mean that the mushroom’s precious spores cannot effectively propagate, making plastic bag-harvested Ganoderma much less potent. 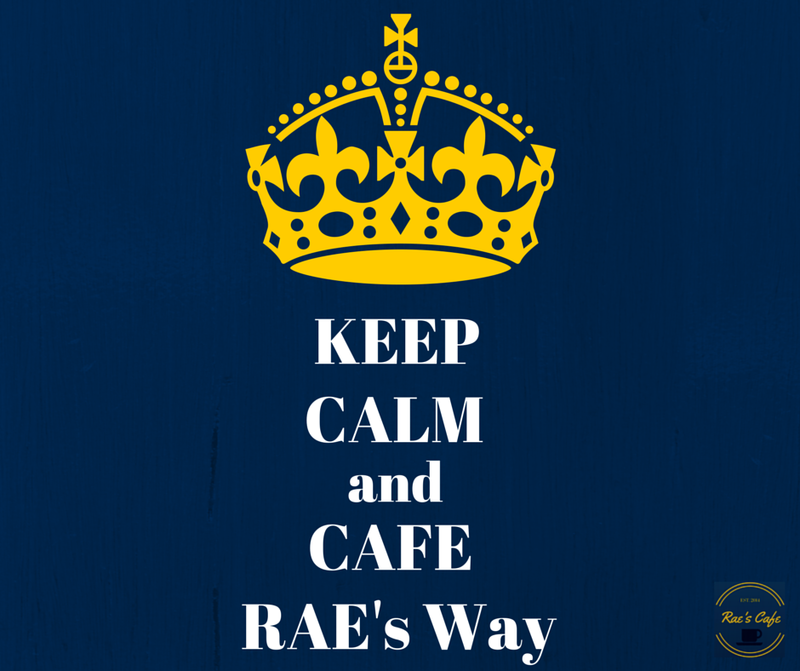 At Rae’s Cafe, we’re proud of Organo Gold’s natural, organic growing methods and all-natural processing practices. They partnered with some of the most reputable people in the world to produce our Ganoderma lucidum powder. 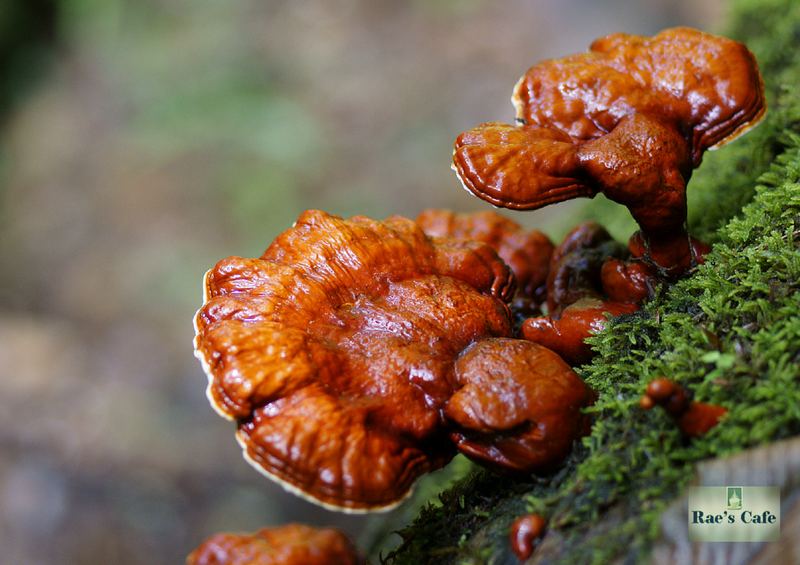 First, OG’s Ganoderma mushrooms are grown undisturbed on maple logs high in the Wuyi Mountains of China’s Fuxhou region. It’s cold and deeply forested up there, and these miraculous mushrooms thrive. Once harvested, their partners at the $240 million Gano Herb Industrial Park process the mushrooms. The agriculture and food scientists at OG’s state-of-the-art facility use cutting-edge technologies, techniques and equipment to gently dry, sterilize and process the mushrooms, transforming the tough, wood-like caps into a fine powder. OG’s expert team then carefully transforms the mushroom stems and caps into a fine powder, which is then easily added to our coffee, tea, and other beverage products, as well as personal care products. OG packages and ships all beverage, personal care and nutraceutical products to our partners and distributors in more than 30 countries across the globe. You couldn’t find a more quintessentially coffee-loving place than the vibrant Italian city of Rome. Coffee is an integral part of the fabric of daily life in this energetic city. Locals whizzing by on scooters, flocks of tourists walking the Roman ruins and the Colosseum, and people everywhere sipping espressos. Here in the US coffee has become something of an “on-the-go” staple. In Rome, it’s more of a “drink and go” scenario — with many coffee bars offering standing room only for folks who want to quickly sip their espresso without even sitting down. You won’t spy any 20 ounce Frappuccinos® here (and if you do, they will likely belong to tourists!). Cappuccino is considered a breakfast coffee, so traditional Italians do not order this drink any time after around 11:00am. Caffè ristretto(kah-FE ri-STRE-to) is a so-called “restricted coffee” — which references the way in which the stream of coffee is stopped before the normal amount, making the coffee stronger, or more concentrated, than a regular coffee or espresso. 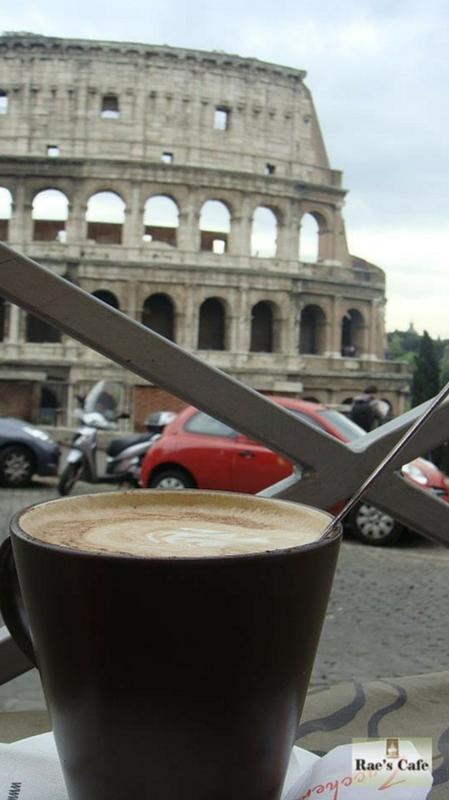 Many Romans drink five or more espressos per day. For Rae’s coffee lovers … For a strong, robust coffee, add 4-6 ounces of hot water to your favorite Gourmet Coffee, Latte or Mocha..
For more information about Organo Gold’s European convention, go to: https://euconvention.organogold.com/.